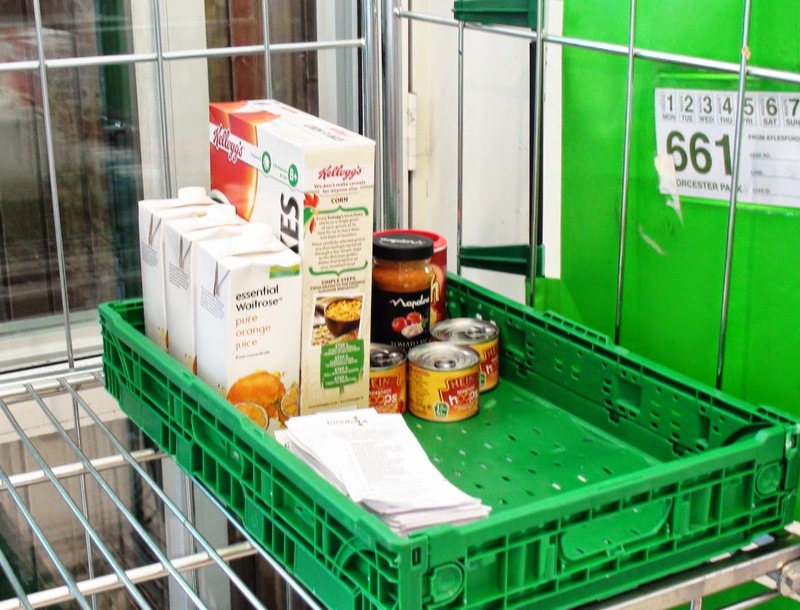 Waitrose are helping collect food this weekend for the Kingston Foodbank to help local people in need. Yesterday and today Waitrose (in Worcester Park) is acting as a collection point for the charity which provided three days worth of food for people who have been referred by various churches and agencies. Yesterday, thanks to the generosity of Worcester Parkers, they managed to fill 4 entire cages with donations. This morning, only 20 minutes after opening the amount donated was small (see right) but will hopefully grow to a generous amount by the end of the day. There are friendly staff (right) on the door handing out these leaflets (left) who will be happy to answer any questions about the project. 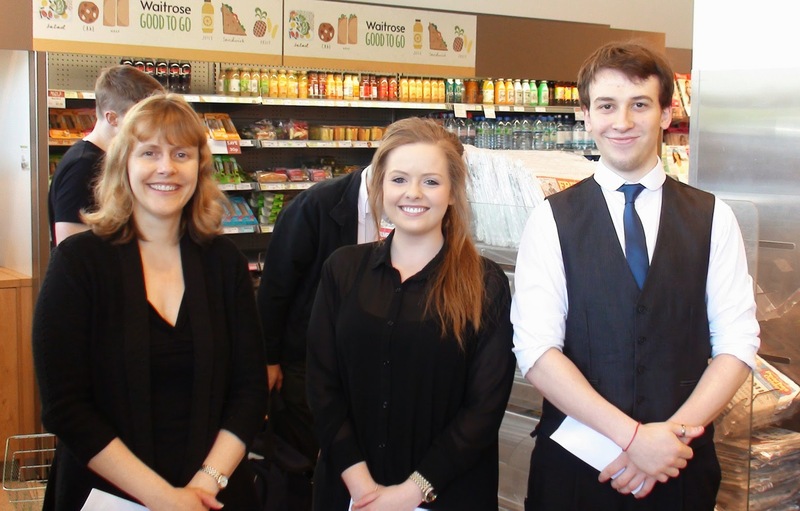 Waitrose hold regular collections for the Kingston food bank. Apparently Waitrose tried to start something involving Sutton but the blog understands that all their requests and emails to the council were ignored. However Sutton's loss is Kingston's gain. So please, if you can, pop into Waitrose today and buy something extra for those in need. Let's see if they can beat yesterday's total!